Category: Books, Self Help & Personal Development Tags: activism, humanity, mystical, mysticism, spirituality. 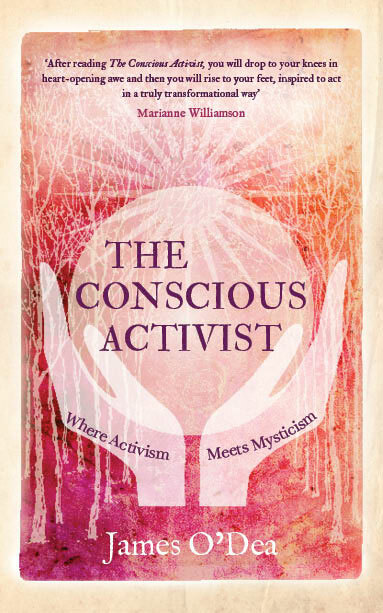 An extraordinary and rousing manifesto from award-winning author James O’Dea, The Conscious Activist is both a compelling narrative and a deep reflection on the demands of mystical realization and effective activism. O’Dea poses that an integration of the two has the power to wake up humanity from its course of rapid self-destruction. Divided into two parts, Part I offers parallel narratives of O’Dea’s training to become both a mystic and an activist. The mystic, he explains, must move past petty ego concerns in order to experience oneness with each other and our divine source. The activist, on the other hand, explores the role of passion and conscience in activating social change. There is communion, though, between the activist and the mystic – both seek to bring abstract concepts into flesh-and-blood reality. In Part II, O’Dea pursues this fascinating concept of a meeting ground between the two worlds, where spirituality and action unite to spark an accelerated transition towards our greater goal: a more evolved civilization. He asks us all to become conscious activists – to learn, collectively, how to move beyond our rigid conformity to beliefs of the past and its archaic structures of power and control. Our global problems of extreme competitiveness and violence have escalated in human history because we have not learned to evolve beyond them. The Conscious Activist offers a concrete answer to the question of who we are when we are fully evolved. It gives us the chance to save ourselves from our self-imposed prisons, and to become fully conscious of our power to bring heaven to Earth.